Mike Dunham, R.I.P. - Write for Wine: It's Wine O'Clock Somewhere!Write for Wine: It's Wine O'Clock Somewhere! Washington state’s wine industry lost a great man last week — Mike Dunham, 69, co-owner of Dunham Cellars, passed away May 18 after a four-year battle with kidney cancer. In 1995, Mike and his son Eric created one of the most respected wineries in Walla Walla and in the state. Mike was the general manager, a businessman and loved by many people. 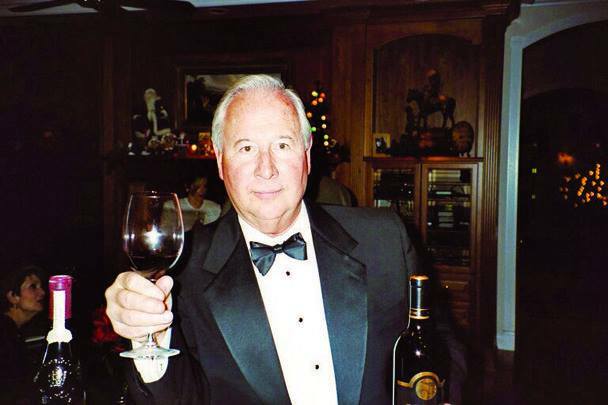 He will be remembered fondly and deeply by so many, including Trey Busch, one of the first employees at Dunham Cellars, and now owner and winemaker of Sleight of Hand Cellars in Walla Walla. Trey posted this photo of Mike on Facebook, and kindly agreed to let me repost it here. Thank you, Trey. … We’ve always said that Washington wine is about so much more than the juice itself – it’s about the people, the stories and the spirit. Mike and Joanne Dunham, and their award-winning wines, exemplify the passion of the wine industry in this state. We experienced great sadness to learn of Mike’s passing last weekend. He will be remembered for his graciousness, his humor, his smarts and his love for his family. He will be missed by so many who were fortunate enough to know him. Mike is survived by his loving wife, Joanne, his son, Eric, and daughters Katy Dunham in Colorado and Michelle Sikma in Alaska. R.I.P. Mike. We lift a glass of Dunham Cellars wine in your honor. This entry was posted in Walla Walla, Washington, Wine and tagged Dunham Cellars, Mike Dunham, Walla Walla, Washington wineries by Margot. Bookmark the permalink.